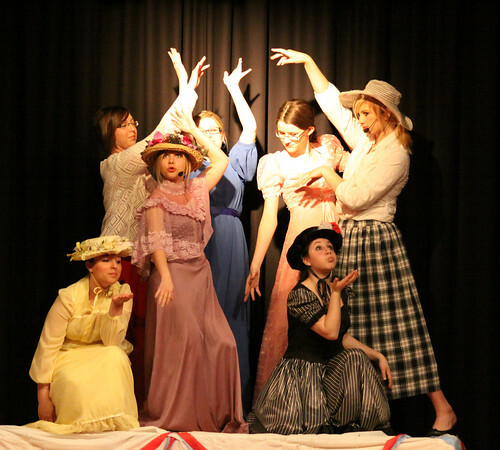 With Saturday nights performance, the DHS Drama and Music groups finished off a successful three show run of their production of “The Music Man”. The show was months in the making, and the hard work and dedication of the actors, musicians and crew showed in the performance. Three appreciative crowds filled the Gordon Wood Auditorium to take in the story of a smooth talking travelling salesman who arrives in River City, Iowa with the promise of a boy’s band. The actors and musicians have earned a well deserved rest. We look forward to your next production! DHS thanks all involved students and staff for their efforts.